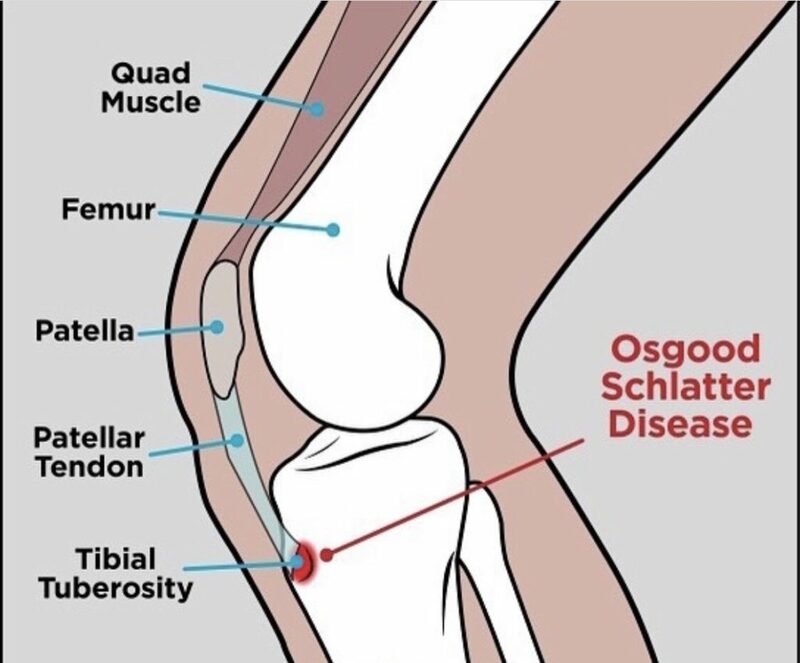 A common form of knee pain we see in the younger generation that present to the clinic is osgood – schlatter disease. Inflammation of the patellar ligament at the tibial tubercle causing pain and sometimes a small bony bump appears on the front of the knee. Sufferers are usually adolescent boys who are very active and take part in sports involving running and jumping. Pain is often worse on activity and better with rest. – see an expert for treatment to release tension in the quadriceps muscle group whilst also strengthening other muscles in the hips and making sure foot mechanics are sufficient. – use ice to calm down the inflamed area.